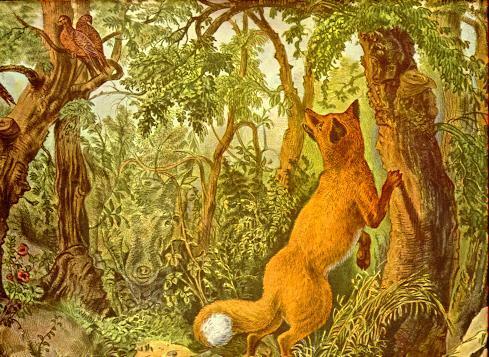 This is an 1872 coloured print created by Currier and Ives entitled "The Puzzled Fox". In this picture there are a number of hidden animals, birds, and men's and women's faces. How many can you see? I can find only some pictures.